This agreement binds you or the company you represent (“You” or “Your”) to the terms and conditions set forth herein in connection with your use of FosterFBA.com, services or other offerings on our site (collectively, our “Products”). By using any of the company products or clicking on the “CONTINUE TO PAYMENT” button, you agree to become bound by the terms and conditions of this agreement. If you do not agree to all the terms and conditions of this agreement, do not use the company products. Our acceptance is expressly conditioned upon your assent to all the terms and conditions of this agreement, to the exclusion of all other terms. If these terms and conditions are considered an offer by us, acceptance is expressly limited to these terms. 100% Money Back Guarantee: We provide 100% Money Back Guarantee for all of our Services. 1. ‘Welcome’ and ‘Grand Package’: You need to request the refund within 4 days of the order delivery date. 2. ‘Royal’ and ‘Supreme Package’: You need to request the refund within 7 days of the order delivery date. 3. ‘Elite 100’ and ‘Elite 300’: Refunds will be provided if you are unable to extract the Search Terms from our source. You need to request the refund within 30 days of the order delivery date. 4. Crown Package : Refund will be provided if you are unable to extract FREE backend search terms on your own. 5. ‘Starter’, ‘Booster’ : Refunds will be provided if we are unable to extract the Search Terms of given ASIN. You need to request the refund within 5 days of the order delivery date. We are affiliated to ‘Search Term’ extraction service provider and are involved in the ‘Search Term’ Extractor process. If you purchase either ‘Elite 100’ or ‘Elite 300’ we will provide you the full Know-How of service source along with guidance on how to use the source. Any claims made of actual earnings or examples of actual results can be verified upon request. 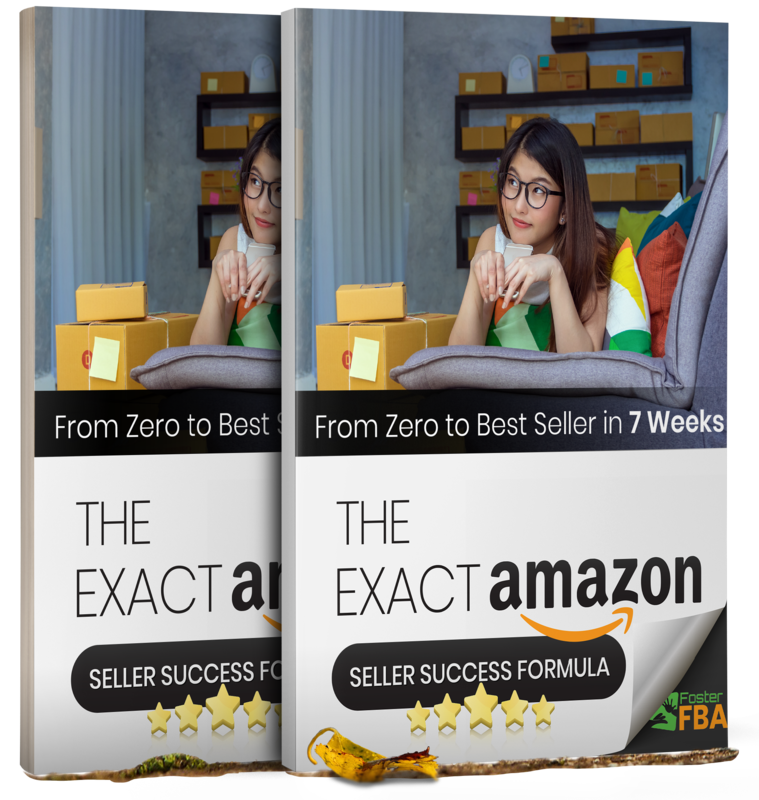 Your level of success in attaining the results claimed in our materials depends on a number of factors outside of our control, such as but not limited to: changes to search, ranking or sales algorithms implemented by Amazon, sales seasonality, changing trends or niche saturation. Since these factors differ according to individual products, we cannot guarantee your success or income level. Nor are we responsible for any of your actions. 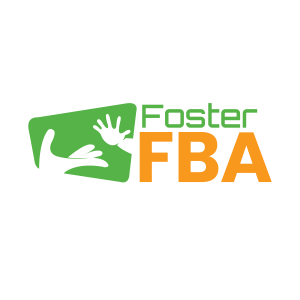 The author and publisher of this website (“www.FosterFBA.com”) disclaim any warranties (express or implied), merchantability, or fitness for any particular purpose. The author and publisher shall in no event be held liable to any party for any direct, indirect, punitive, special, incidental or other consequential damages arising directly or indirectly from any use of this material, which is provided “as is”, and without warranties. The author and publisher of the Products offered on this site and the accompanying materials have used their best efforts in preparing the Products offered on this site. The author and publisher make no representation or warranties with respect to the accuracy, applicability, fitness, or completeness of the contents of these Products offered on this site. The information contained in the Products offered on this site is strictly for educational purposes. Therefore, if you wish to apply ideas contained in the Products offered on this site, you are taking full responsibility for your actions. As always, the advice of a competent legal, tax, accounting or other professional should be sought for any business. If you are an experienced software developer / programmer you can avail the API access from our source and explore many additional services. (Note: There would be additional charges by the service provider for availing the API access. We are affiliated to the service provider but you will be directly dealing with the service provider for API access. We reserve the right to revise these terms in our sole discretion at any time by posting the changes on our site. Changes become effective immediately after posting. Your continued use of our products after changes become effective shall mean that you accept those changes. You should visit the site regularly to ensure you are aware of the latest version of the terms. Notwithstanding the preceding sentences of this section, no revisions to these terms will apply to any dispute between you and the company that arose prior to the date of such revision. We may modify our products or discontinue availability at any time. You are solely responsible for all service, telephone, data charges and/or other fees and costs associated with your access to and use of our products, as well as for obtaining and maintaining all telephone, computer hardware, and other equipment required for such access and use. If you elect to access or use any part of our products that involve payment of a fee, you agree to pay and are responsible for payment of that fee and all taxes associated with such access or use. If you provide credit card information to pay for such fees then you hereby represent and warrant that you are authorized to supply such information and hereby authorize us to charge your credit card on a regular basis to pay the fees as they are due. If your payment method fails or your account is past due, then we may collect fees owed using other collection mechanisms. This may include charging other payment methods on file with us and/or retaining collection agencies and legal counsel. We may also block your access to our product pending resolution of any amounts due by you to us. All of your use and other activities relating to the site and our products must be in compliance with all applicable laws and regulations, including, without limitation, laws relating to copyright and other intellectual property use, and to privacy and personal identity. In connection with your use of our products and site, you must not provide incorrect or knowingly false information; copy, distribute, modify, reverse engineer, deface, tarnish, mutilate, hack, or interfere with our product or operation of the site; frame or embed the site or product; impersonate another person or gain unauthorized access to another person’s Amazon’s seller account; introduce any virus, worm, spyware or any other computer code, file or program that may or is intended to damage or hijack the operation of any hardware, software or telecommunications equipment, or any other aspect of our product or operation of the site; scrape, spider, use a robot or other automated means of any kind to access our product. We do not control submitted content (as defined below) submitted by you and, as such, do not guarantee in any manner the reliability, validity, accuracy or truthfulness of such submitted content or company content developed based on your submitted content . You also understand that using the product may expose you to content that you and buyers may consider offensive, indecent, or objectionable and may leave you liable to lawsuits by buyers. We have no responsibility to keep or inform you of such content and no liability for your use of any content, to the extent permissible under applicable law. The site and our products may give you access to links to third-party websites (“Third-Party Sites”), either directly or indirectly. We do not endorse any of these third party sites and do not control them in any manner. Accordingly, we do not assume any liability associated with third-party sites. You need to take appropriate steps to determine whether accessing a third-party site is appropriate, and to protect your personal information and privacy on such third-party sites. You may only use our products for lawful purposes. You are solely responsible for the knowledge of and adherence to any and all laws, rules, and regulations pertaining to your use of our products. You agree not to use our products or company content (as defined below) to recruit, solicit, or contact in any form potential users for employment or contracting for a business without our advance written permission, which may be withheld in our sole discretion. You assume any and all risks from the usage of our products. All software, technology, designs, materials, information, communications, text, graphics, links, electronic art, animations, illustrations, artwork, audio clips, video clips, photos, images, reviews, ideas, and other data or copyrightable materials or content, including the selection and arrangements thereof, is “Content.” Where the company provides content to you in connection with the products including, without limitation, the software and the products and the site, it is “Company Content.” Content uploaded, transmitted or posted to the site or through the products by a client is “Submitted Content.” Content remains the proprietary property of the person or entity supplying it (or their affiliated and/or third-party providers and suppliers) and is protected, without limitation, pursuant to US and foreign copyright and other intellectual property laws. You hereby represent and warrant that you have all licenses, rights, consents, and permissions necessary to grant the rights set forth in these terms to us with respect to your submitted content and that we shall not need to obtain any licenses, rights, consents, or permissions from, or make any payments to, any third party for any use or exploitation of your submitted content as authorized in these terms or have any liability to you or any other party as a result of any use or exploitation of your submitted content as authorized in these terms. You hereby grant us a nonexclusive right and license to reproduce, distribute, publicly perform, offer, market and otherwise use and exploit the submitted content on the site and through the products, and sub-license for these purposes directly or through third parties. The company hereby grants you (as a client) a limited, non-exclusive, non-transferable license to access and use submitted content and company content, for which you have paid all required fees, solely for your personal, non-commercial, educational purposes through the site and the products, in accordance with these terms and any conditions or restrictions associated with particular service or products. All other uses are expressly prohibited absent our express written consent. You may not reproduce, redistribute, transmit, assign, sell, broadcast, rent, share, lend, modify, adapt, edit, create derivative works of, license, or otherwise transfer or use any submitted content or company content unless we give you explicit permission to do so. Submitted content and company content is licensed, and not sold, to you. Instructors may not grant you license rights to submitted content you access or acquire through the products or site and any such direct license shall be null and void and a violation of these terms. You agree that we may record all or any part of any communications (including voice chat communications) for quality control and delivering, marketing, promoting, demonstrating or operating the site and the products. You hereby grant us permission to use your name, likeness, image or voice in connection with offering, delivering, marketing, promoting, demonstrating, and selling the site, products,, company content and submitted content and waive any and all rights of privacy, publicity, or any other rights of a similar nature in connection therewith, to the extent permissible under applicable law. 3. To receive communications from us from time to time. 5. Claims, demands, and damages in disputes among seller and buyes. All disputes arising out of or related to this agreement or our service in general (whether based in contract, tort, statute, fraud, misrepresentation, or any other legal or equitable theory) must be resolved by final and binding arbitration. This includes any dispute based on any service, advertising or otherwise having a connection to this agreement. The arbitration will be conducted by one arbitrator using the procedures described by this Section. If any portion of this Resolution of Disputes by Binding Arbitration Section is determined to be unenforceable, then the remainder shall be given full force and effect. NO DISPUTE MAY BE JOINED WITH ANOTHER LAWSUIT, OR IN AN ARBITRATION WITH A DISPUTE OF ANY OTHER PERSON, OR RESOLVED ON A CLASS WIDE BASIS. THE ARBITRATOR MAY NOT AWARD DAMAGES THAT ARE BARRED BY THIS AGREEMENT AND MAY NOT AWARD PUNITIVE DAMAGES OR ATTORNEYS’ FEES. YOU AND COMPANY BOTH WAIVE ANY CLAIMS FOR AN AWARD OF DAMAGES THAT ARE EXCLUDED UNDER THIS AGREEMENT. In the event that a dispute arises out of this agreement, the prevailing party shall be entitled to its reasonable expenses, including attorney’s fees, regardless of whether in house or outside counsel is employed. Before you take a dispute to arbitration or to small claims court, you must first write to us at FosterFBA.com, and give us an opportunity to resolve the dispute. Similarly, before we take a dispute to arbitration, we must first attempt to resolve it by contacting you. THE PRODUCTS, SITE, COMPANY CONTENT, SUBMITTED CONTENT, AND ANY OTHER MATERIALS MADE AVAILABLE ON OR THROUGH THE SITE OR THE PRODUCTS ARE PROVIDED “AS IS,” WITHOUT ANY WARRANTIES OF ANY KIND AND, TO THE FULLEST EXTENT PERMISSIBLE UNDER APPLICABLE LAW, THE COMPANY HEREBY DISCLAIMS ALL SUCH WARRANTIES, EXPRESS OR IMPLIED, INCLUDING, BUT NOT LIMITED TO, WARRANTIES OF MERCHANTABILITY, FITNESS FOR A PARTICULAR PURPOSE, NON-INFRINGEMENT, ACCURACY, FREEDOM FROM ERRORS, SUITABILITY OF CONTENT, OR AVAILABILITY. TO THE FULLEST EXTENT PERMISSIBLE UNDER APPLICABLE LAW, NEITHER PARTY SHALL BE LIABLE HEREUNDER UNDER ANY THEORY OF LIABILITY, INCLUDING, WITHOUT LIMITATION, CONTRACT, TORT OR NEGLIGENCE, FOR ANY LOSSES, UNLESS SUCH LOSSES WERE REASONABLY FORESEEABLE AT THE TIME YOU AGREED TO THIS TERMS. THE COMPANY’S TOTAL LIABILITY HEREUNDER SHALL BE LIMITED TO THE AMOUNTS PAID IN CONNECTION WITH THE SERVICE OR PRODUCTS UNDER WHICH SUCH LIABILITY AROSE. THIS SECTION DOES NOT EXCLUDE OR LIMIT EITHER PARTY’S LIABILITY FOR FRAUD, FOR DEATH, OR FOR PERSONAL INJURY RESULTING FROM NEGLIGENCE, OR FROM ANY OTHER LIABILITY THAT CANNOT BE LIMITED OR EXCLUDED BY LAW. You hereby indemnify, defend and hold harmless the company and its affiliates, officers, directors, agents, partners, employees, licensors, representatives and third-party providers from and against all reasonably foreseeable losses, expenses, damages, costs, claims and demands, including reasonable attorneys’ fees and related costs and expenses, due to or arising out of your breach of any representation or warranty hereunder. We reserve the right, at our own expense, to assume the exclusive defence and control of any matter otherwise subject to indemnification by you under this section, and in such case, you agree to fully cooperate as reasonably required with such defence and in asserting any available defences. 1. Severability. If any provision of these terms is found to be illegal, void or unenforceable, then that provision shall be deemed severable from these terms and shall not affect the validity and enforceability of any remaining provisions of these terms. 2. Waiver. A provision of these terms may be waived only by a written instrument executed by the party entitled to the benefit of such provision. Our failure to exercise or enforce any right or provision of these terms will not constitute a waiver of such right or provision. 3. Notice. Any notice or other communication to be given hereunder will be in writing and given by facsimile, post-paid registered or certified mail return receipt requested, or electronic mail. 4. No Agency. Nothing in these terms shall be construed as making either party the partner, joint venture, agent, legal representative, employer, contractor or employee of the other. Neither the company nor any other party to this agreement shall have, or hold itself out to any third party as having, any authority to make any statements, representations or commitments of any kind, or to take any action that shall be binding on the other except as provided for herein or authorized in writing by the party to be bound. Last update 13th September , 2017.